The NerdWallet site focuses on personal finance tips and advice, and part of personal finance is real estate. The NerdWallet team recently polled staff members about their first home purchase lessons. Read on to see highlights of what they learned, and what you can learn from their mistakes and frustrations. Samantha Allen found out the hard way that you should save more than your down payment for your purchase. Remember that in addition to 20% down, you need to pay for a whole heap of fees and costs including title insurance, title transfer, and Realtor fees. That can add thousands on top of the price of the home. 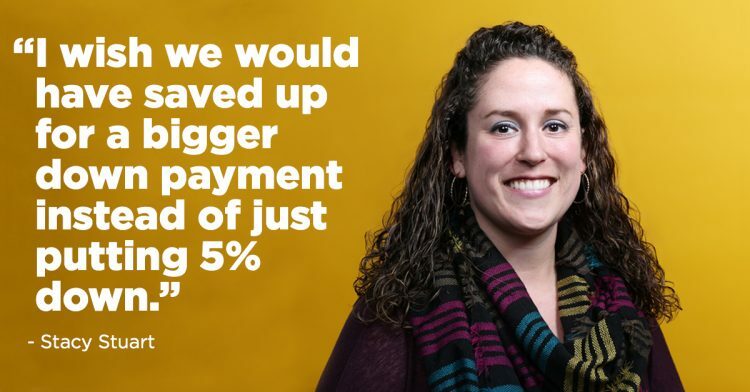 Stacey Stuart realized that putting in bigger down payment can also save you big. A down payment below 20% requires private mortgage insurance (PMI), that adds on to your monthly mortgage payment. In addition, the less you put down, the more you have to pay each month. If you are getting ready for a first home purchase, spend the time ahead of time to understand your requirements, what you can afford, and the areas you want to live. In hot markets like Denver, Portland, and Austin, you can’t just make an offer and expect to get the house. Homes are regularly selling with multiple offers, so don’t be discouraged if you have to make offers on several homes before you find your home. Our first go-round took a few bids (and losses) to find the right house, and it was stressful. It’s so easy to get frustrated when you’re outbid several times, or the sellers won’t work with you because they have the upper hand. Don’t give up because your first, second or even third offer doesn’t make the cut. Whether you are buying your first home or tenth, don’t try to do it alone. Find the best agent for your needs at AgentHarvest. Our pre-vetted and qualified agents are ready to make your next real estate purchase or sale as painless as possible. Avoid learning lessons the hard way, partner with a top real estate agent at AgentHarvest. Read the entire story at NerdWallet. This entry was posted in Funny Stories, Things to Avoid and tagged first home purchase by Eric Rosenberg. Bookmark the permalink.